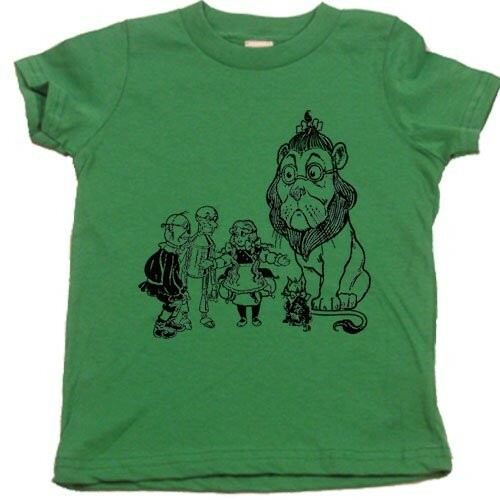 This beautiful T-shirt features vintage artwork from The Wonderful Wizard of Oz. This is great way to show off your child's favorite book! The shirt comes in your choice of grass green, light blue, light pink, red, slate, and white. Available in children's sizes 2, 4, and 6; you can also find the same graphic on an infant onesie here.